I am bringing this one back for this weeks Sepia Saturday 211 prompt with a WW 1 soldier. This is the 10th post in the February Photo Collage Festival and the Family History Writing Challenge, and the last post in the present series about the Hugh Marion Reed Averette family. 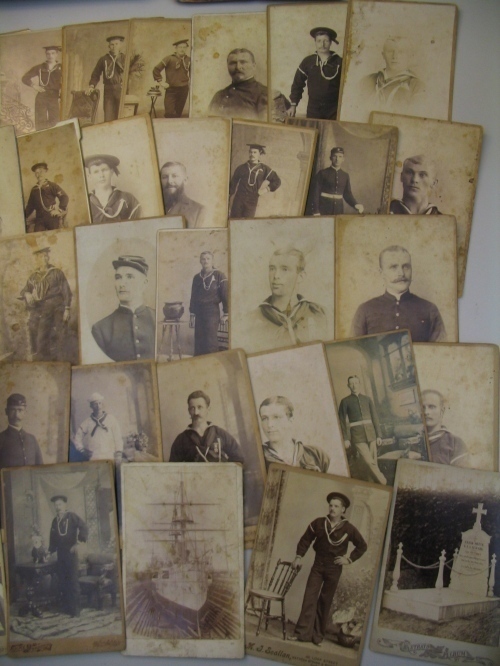 Today I am going to write about Hugh Reed Averette’s US Navy experience. Hugh Reed about the time he joined the US Navy. Hugh joined the US Army on July 13, 1898 in Indianapolis, Indiana. He was discharged on November 13, 1898 in Willets Pointe, Queens, New York. He joined the US Navy a month later on December 8, 1898 in New York City. He worked as a Coal Passer on the USS Newark. The Newark saw action in South America and Asia. In 1900, Hugh was in China. Here is a description of the ship’s activity during the time Hugh was a member of the crew from The Dictionary of American Fighting Ships. Departing New York 23 March 1899, the cruiser steamed down the coast of South America on patrol, stopping at numerous ports along the way. In the middle of her cruise 7 April, she was ordered to proceed through the Straits of Magellan to San Francisco. The ship, low on coal, was forced to put into Port Low, Chile, from 31 May to 22 June to cut wood for fuel. Finally arriving Mare Island Navy Yard 4 September, Newark underwent repairs and then sailed 17 October via Honolulu for the Philippines arriving Cavite 25 November. The warship took station off Vigan, Luzon, landed troops for garrison duty, then moved on to Aparri 10 December, receiving the surrender of insurrectionists in the provinces of Cagayan, Isabela, and Bataan. On 19 March 1900, she sailed for Hong Kong to rendezvous with monitor Monadnock 22 March and convoy that ship to Cavite, arriving 3 April and staying there until sailing for Yokohama 24 April, arriving 3 days later. The ship then hoisted the flag of Rear Admiral Louis Kempff, Assistant Commander of the Asiatic Station and sailed 20 May for China to help land reinforcements to relieve the legations tinder siege by the Boxers at Peking. Arriving Tientsin 22 May, Newark operated in that port and out of Taku and Chefoo, protecting American interests and aiding the relief expedition under Vice Admiral Seymour, R.N., until sailing at the end of July for Kure, Japan, and then Cavite where she hoisted the pennant of the Senior Squadron Commander in the Philippines. She sailed for home in mid-April 1901, via Hong Kong, Ceylon and Suez, arriving Boston late July 1901. She decommissioned there 29 July. 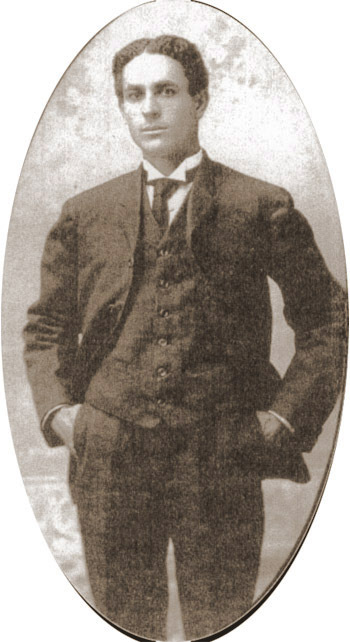 Hugh Marion Reed Averette left the Navy on December 2, 1901, in Boston, Massachusetts. He returned to Indianapolis, Indiana and resumed life as a civilian. 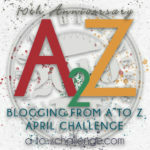 This is the 5th post in the February Photo Collage Festival and the Family History Writing Challenge. Today I am going to write about Hugh Reed Averette’s oldest daughter, Anna Roberta. Before I begin, I want to let you know that I switched out several photographs in my original collage. I realized I didn’t have enough photographs of Hugh’s family to write about all of them this week and I am in writing about them mode! I also switched out another photo for one of the ship Hugh was on during the Spanish American War. After I received his death certificate and found out that he shipped on the Newark, I realized that I have to write another post about him. While I was changing pictures, I added the now available Sepia Saturday #165 prompt so that I can incorporate that into this series. There are still 28 photographs. I will write about the photos I removed in future posts. Now back to Anna Roberta. Anna Roberta was born in 1907, the oldest of Hugh and Blanche Celeste’s four children. She was named after both of her grandmothers. She spent her childhood in Indianapolis, Indiana. 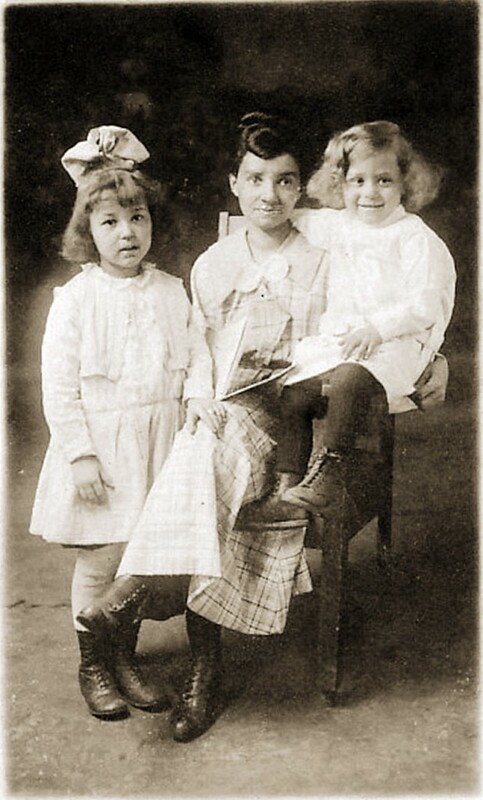 Around 1925, Anna lived with her aunt Pearl’s family in Detroit while attending teacher’s college. Her Aunt Pearl was my grandmother and her father Hugh’s baby sister. During one of my family history gathering sessions, my uncles Henry, Louis and Hugh (who was named after his Uncle Hugh) had a heated discussion about their memories of that time. They were all several years younger than Anna. Anna worked as a book keeper for the Talking Machine Company in 1930 before marrying Ralph Franco Flores, a machinist, in Los Angeles, California. On her marriage application Anna listed her race as “white”, her birth place as “Indiana”, father as “Hugh Averette” and her mother’s maiden name as “B. Celeste Young”. Ralph’s race was listed as “Indian and Mexican”. He was born in Arizona. Over the next 15 years Ralph continued to work as a machinist. 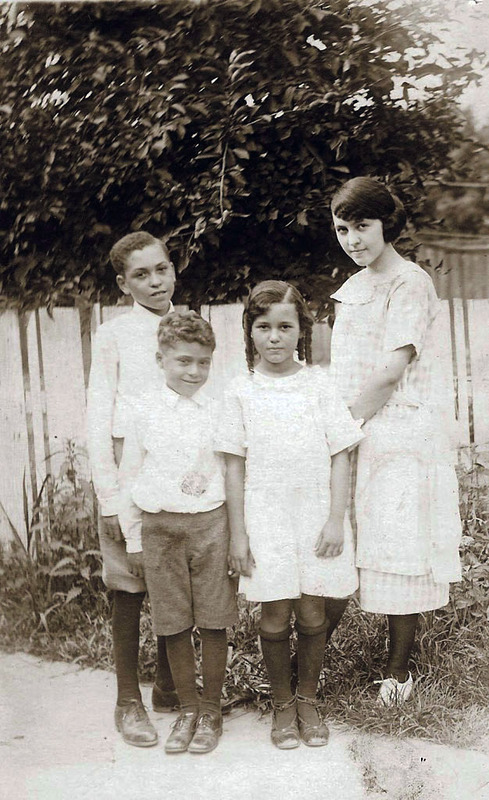 Anna worked in the house and gave birth to six children – Rosa born in 1931, Rafael in 1932, Miguel in 1935, Enrique in 1939, Elena in 1943 and Carmen in 1946. Anna and her husband registered to vote as Democrats over the years. 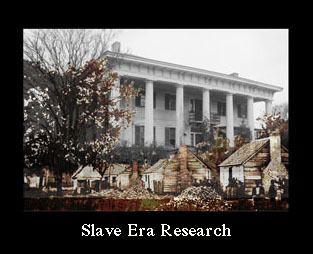 Starting in 1944 the family shared the house of Anna’s father-in-law. at 2515 Alcazar Street. Brother-in-law Louis, who worked as an x-ray techician, also lived there. The father-in-law died in May, 1946, several months after Anna’s last daughter, Carmen Averette was born. I found a photo of the house on Google Maps. It must have been crowded because it is small. It was built in 1927. Perhaps the father-in-law built it or bought it new because he was living there in 1930. 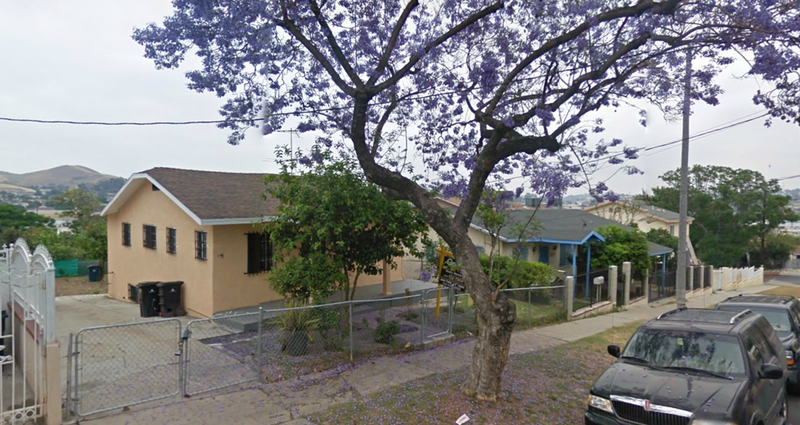 2515 Alcazar Street, Los Angeles, CA. The house has two bedrooms, one bath and is 864 square feet. In 2012 it was assessed at $246, 642 . I wonder what it cost when it was new. A jacaranda tree flowering in the front and mountains from the back, I hope the family was able to spent a lot of time outside. The children grew up, got married and had families of their own. Anna Roberta Averette Flores died in 1987 at age 80, a year before her mother. Anna’s husband, Ralph Flores died in 1990. He was 83 years old. This is the 4th post in my February Photo Collage Festival and the Family History Writing Challenge. Today I will write about Blanche Celeste (Young) Reed Averette, Hugh Reed Averette’s wife. Blanche was the oldest child of James Harvey Young, a teacher and Roberta Ruth (Jordan) Young, a housewife. Blanche was born on October 26, 1887 in Indianapolis, Indiana. Her brother Clifford was born in 1897 followed by three sisters, Nellie, Bessie and Elizabeth. 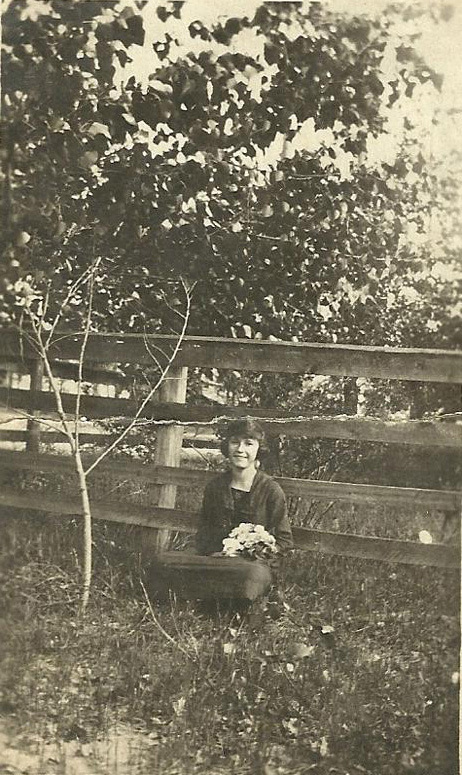 Blanche’s mother died in April of 1901 shortly after the birth of Elizabeth. In December of the same year, her father James married Sibba Turner, a divorcee with a young child. They went on to have four more children. The youngest children were born in California. Blanche’s younger sisters, Nellie and Bessie moved with them and appear to have remained in California. Their older brother joined them there after leaving the US Army. 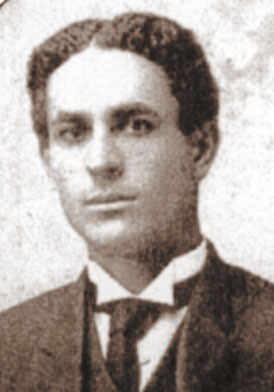 James Young died before 1920. I wonder if Blanche’s family reconnected with her siblings when they moved to California years later. Blanche remained in Indianapolis. She completed 2 years of high school at Manual Training High School. This was an innovative and highly praised school. You can read more about it by clicking the link. She was an 18 year old student when she married 30 year old Hugh Marion Reed. His occupation was listed as janitor and I wondered if he had worked at the school. Anna Roberta, their oldest child was born the following year. A son, Hugh Marion was born in 1910. Theresa Pearl was born in 1913 and Thomas Perry in 1915. 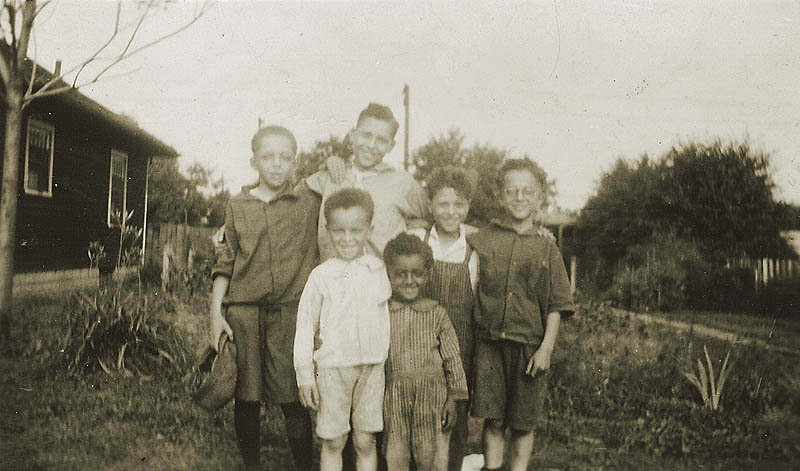 The family remained in Indianapolis until their move to California in the 1920s. 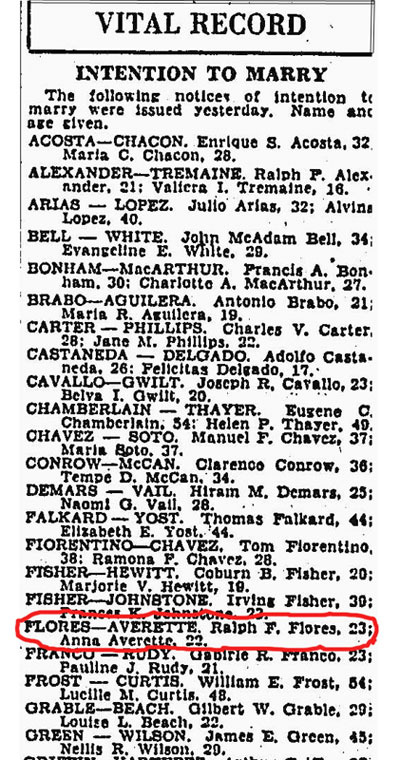 When Blanche surfaces in the 1930 census she is using the name Celesta Averette. Her birth place has changed from Indiana to Michigan. The three children are using the Averette surname. Theresa “Tut” and Thomas are said to have been born in Kansas. Anna’s birth place remains Indiana. Husband and son Hugh were not enumerated in the household. Later that year Anna and Hugh (the son) both married. Daughter Anna seems to be keeping to the truth most faithfully. She gives her mother’s maiden name as “B. Celeste Young”, born in Indiana. Son Hugh gives his mother’s maiden name as “Celestina Joven” born in Michigan. 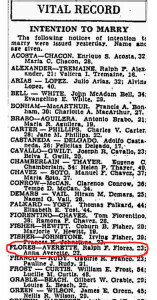 In the 1940 Census Celeste Averette was living with her son Thomas Averette. Also living there was a mystery man of 67 years also named Thomas Averette. Is this Hugh Marion Reed Averette with the wrong name? Celeste kept to this spelling of her name. It is the name used on her voter registration form where She is listed as a republican. This was not unusual for black voters back in those days who remembered both Abraham Lincoln and the Dixicrates. Celeste Averette is also the name on Hugh’s death certificate, where she was the informant. In , at the age of 69, Blanche Celeste married August Miklovich. Blanche Celeste Averette Miklovich died February 3, 1988. She was 100 years old. Theresa Pearl’s Birthday – March 10, 1919. 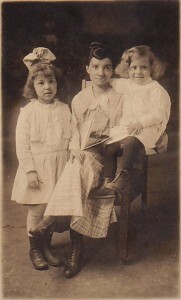 Theresa Pearl, mother Blanch, and Thomas Perry. Names based on birth dates and the other photo. Hugh Marion b. 1910. Thomas Perry b. 1916. Theresa Pearl b. 1914. Anna Roberta b. 1908. Recently I received a scan of the photograph on the left from my cousin Jan. 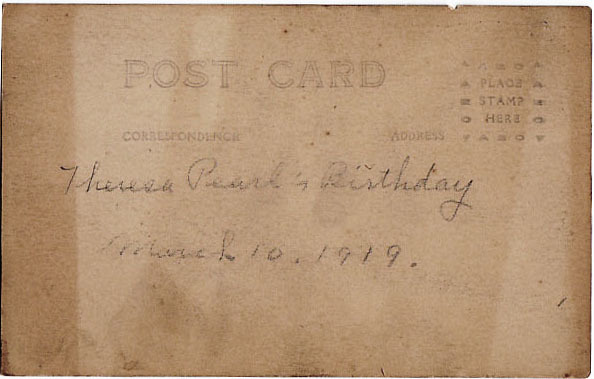 The reverse side of the postcard type photo says “Theresa Pearl’s Birthday March 10, 1919” The handwriting looks as though the same person who wrote on the back of this photo Christmas card of Theresa Pearl. I am not sure that the woman in the photo is their mother, Blanch. I am checking. I hope I am right because I have no other photos of her. 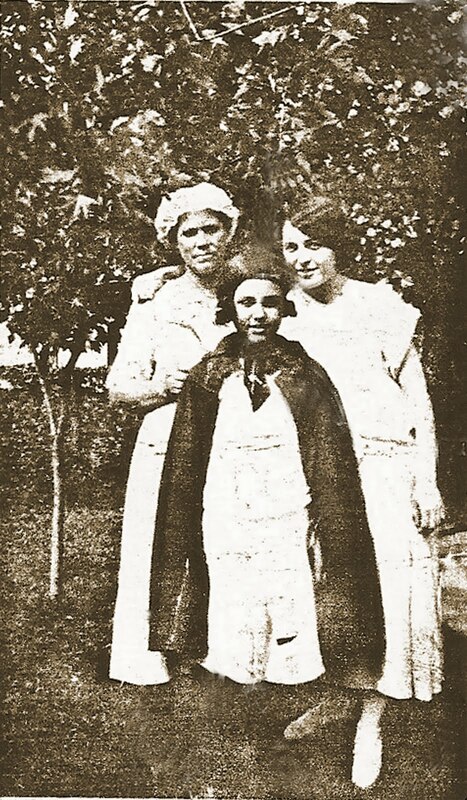 Note: Yes, that is Blanch Celeste Reed Averette, the mother. 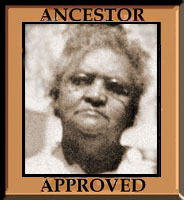 I was able to confirm it with some of her descendents. Click this link to see a photograph of my father at about 3 years old in a little dress – “Big Brother Albert B. Cleage“. It was taken in Kalamazoo Michigan about 1916. 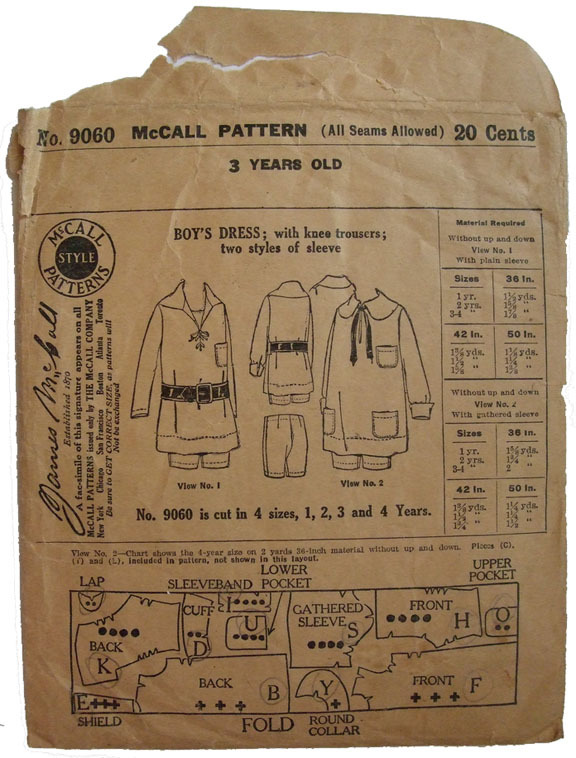 A pattern for a boys dress from that era. Click for other Sepia Saturday posts. Sometimes we would wake up and Uncle Hugh would be sitting on the porch. He wouldn’t say good-bye when he left. Mama’s family was just like that, they’d appear and then disappear without a word. We had a great big police dog, Duke. He was a bad sucker. Everybody in the city knew he was a bad dog. You know, he used to come around the house in the back. We told him not to come in there, that dog would eat him up. We said don’t mess with that dog. He just insisted. He walked out there to the little screened back porch. He walked out. Duke was standing there all ruffled up. He should have known, because Duke lifted that upper lip, you know? (Note: Here Henry would lift half of his upper lip and give a low, menacing growl) Duke backed up a couple of steps. Uncle Hugh kept by the door and he took the first step. The dog stood there and Uncle Hugh thought he had him and let the door slam and soon as that door slammed, Duke just leaped at his head. Uncle Hugh tore up the whole screen on the back door getting back inside. He was going to force the dog back and go out there and show him who’s boss. Well, he got back in because we all hollered at the dog and grabbed him and everything else, but we knew the dog. Well, he could have. If he’d been there a couple days, I mean. To learn more about Hugh Reed click on his name. 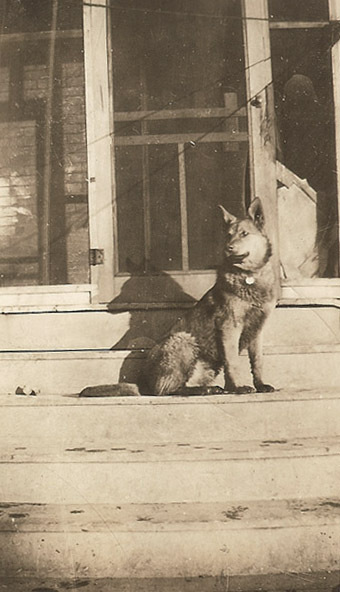 For more Sepia Saturday offering about dogs and men and other things click below. Front: Thomas and Theresa. Back Hugh and Anna. A few weeks ago, a cousin from a “lost” branch of my grandmother Pearl Reed Cleage’s family found me through Ancestry.com. Her father and his siblings grew up thinking they were of Italian descent. My cousin was trying to find out what ship they came over on when she discovered they weren’t Italian, they were African American and my cousins. Since then we have been exchanging information and photographs. The newest one from her is the top photo. It shows her great grandmother, Louise Reed Shoemaker, with two girls. There is no information on the photograph. The photograph on the bottom is a photograph from my grandmother’s collection of Lillian Louise and her brother Hugh Reed’s children. The girls look a little older in my cousin’s photo but to me it’s clear they are they same people, even though they weren’t able to get a good scan yet. Not many in my family served in the military. In fact several were conscientious objectors. My grandmother Pearl’s older brother, Hugh, was the exception. Hugh Marion Reed was born April 23, 1876, Lebanon, Marion County, Kentucky. He reached adulthood in Indianapolis, Indiana and spend his later years in Los Angeles, California. According to my Uncle Henry, his uncle Hugh Reed passed for white and joined the Navy several times and was a stoker during the Spanish American War. His uncle told them he would be so tired after his shift that he would just lay down and go to sleep until time for the next shift. They were locked down there during the shift. 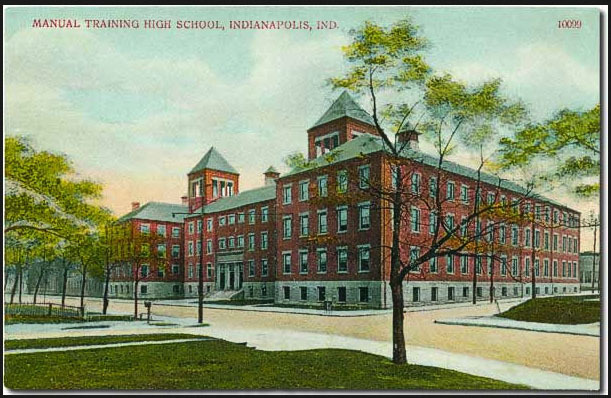 In the U.S. Army, Register of Enlistments, 1798 – 1914, it says that Hugh Reed enlisted 13 July 1898 in Indianapolis, IN for three years. He was 22 3/12 and a Bridge builder. He then enlisted in the U.S. Navy out of New York City on 8 December 1898. He was discharged 2 December 1901 in Boston, MA. In 1906 he married his wife Blanche C.Young. They had four children. Anna, Hugh, Thomas and Theresa. In 1928, according to the U.S. National Homes for Disabled Volunteer Soldiers, 1866 – 1938, Hugh Reed, born in Lebanon, KY was admitted 13 December 1928 with rectal prolapse. He is mentioned in his brother George’s Will in 1946 as living in Los Angeles, CA. So far I have not found a death record for Hugh Marion Reed.